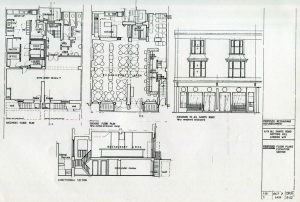 The objective of this project is to supply information and specifications enabling the user company to carry out works of decorating, implementation of furniture, layouts and construction of restaurant, bar, dining area, lower ground floor utility area, and façade of a contemporary restaurant. The offers lunch and dinner in addition to light snacks and beverages throughout the day and evening, expecting a cover charge of £10-£15. It is the intention of the user company to supervise and commission the works and furniture elements themselves, acting as the main works contractor with attendance from ‘ML’. The overall ambience is to be that of affordability and comfort, encouraging a high turnover throughout the day and evening. It will be the task of ML to evolve with the user company’s team, the contemporary feel required. 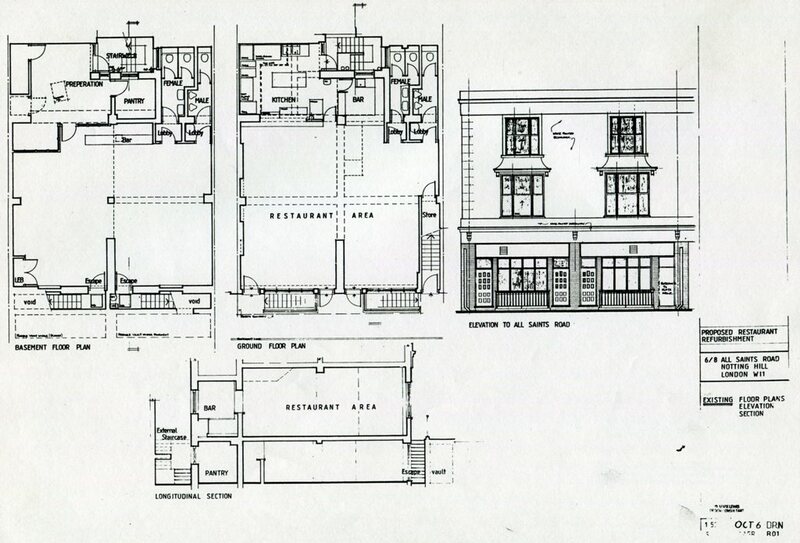 The budget for carrying out the works is low for the size of the restaurant proposed. It is therefore the priority of ML to design and manage the project to maximise the benefits of both use and image within the budget restrictions. The decorations, fittings and finishes will be simple and chosen for their utility qualities. 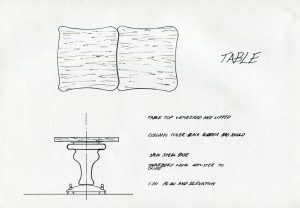 The bar tops, tables and a few other furniture elements will be the only elements within the otherwise stark interior that will bring the desired points of attraction. Colour finishes will be chosen in consideration of the user company’s own scheme, to be advised. The overall results of ambience, image and attitude will be appropriate to the aspirations of the art, media, contemporary music aware peoples of West London district. Colour, comfort, clarity and an efficient restaurant environment. The survey was carried out immediately the project was confirmed as “live”. 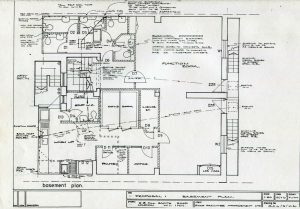 1:50 drawings were prepared quickly so discussions could commence on the possible layouts of the interior areas and elevations etc. 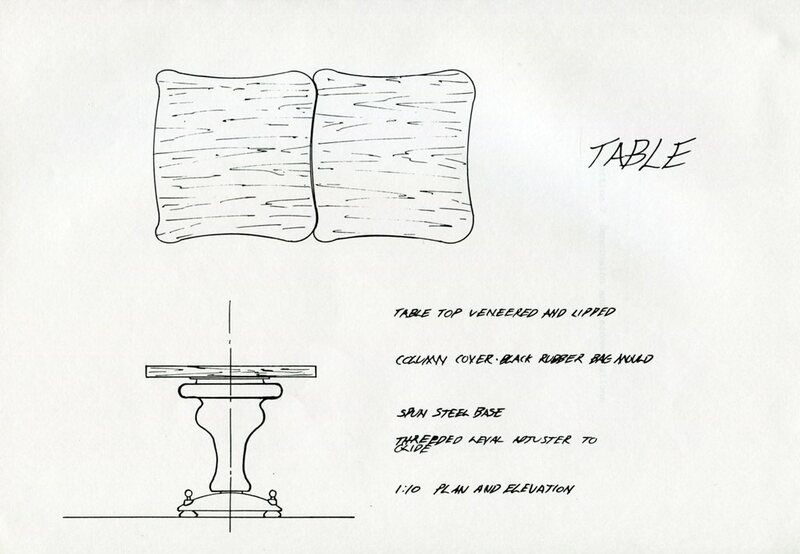 This process of sketching and debating options with the client took place and resulted in the first overall proposal being made. The clients utilised their own judgements and those of their stuff and management to guide ML. During this period, the licensing criteria was uncertain. 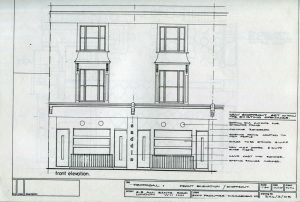 The client’s expectations were being modelled be the licensing authorities. 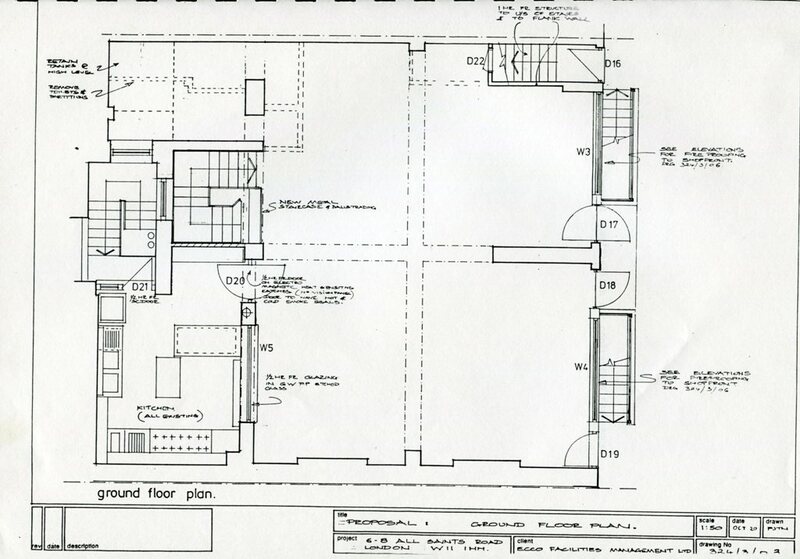 As they become clearer, the interior layouts were changed to accommodate these. 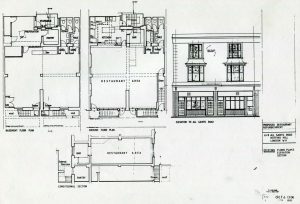 1:50 drawings were prepared showing the proposed scheme as a general arrangement drawing. 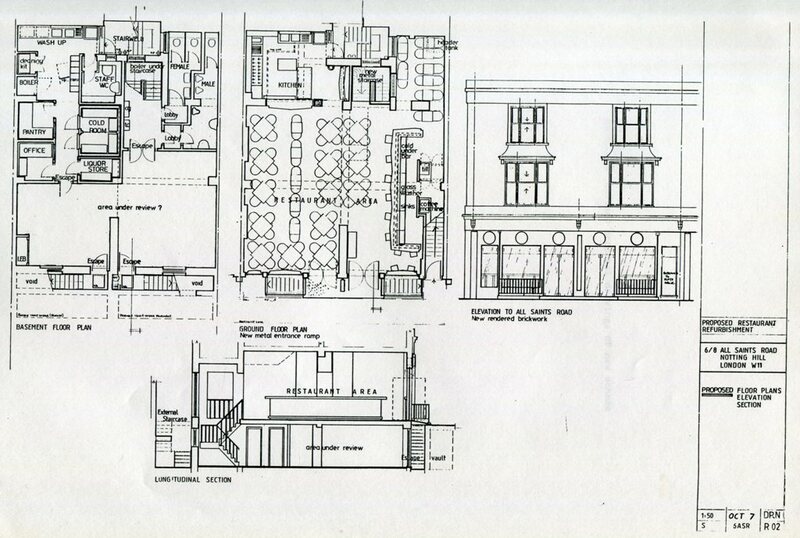 These were used in pre-planning application meetings with the building control authorities and the planning office. 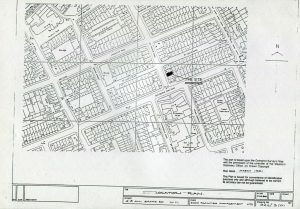 The officers of each, at this stage, gave reasonable indication that the proposal would not raise any objections and would be passed at a delegated session rather than at the main planning meeting. 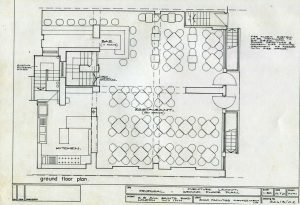 Using the original proposal scheme, the client was able to deliberate fully the extent of works necessary for its implementation. 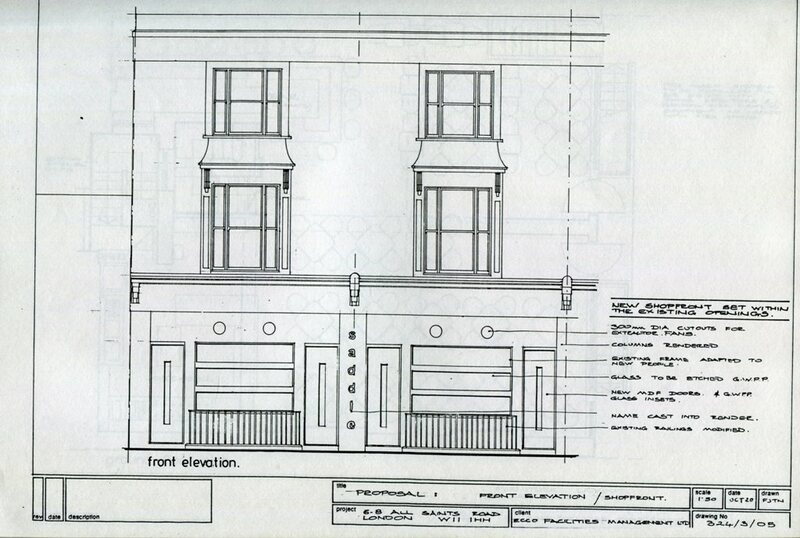 Revisions were made to change the position of the bar and to reduce the work necessary to the shop frontage. 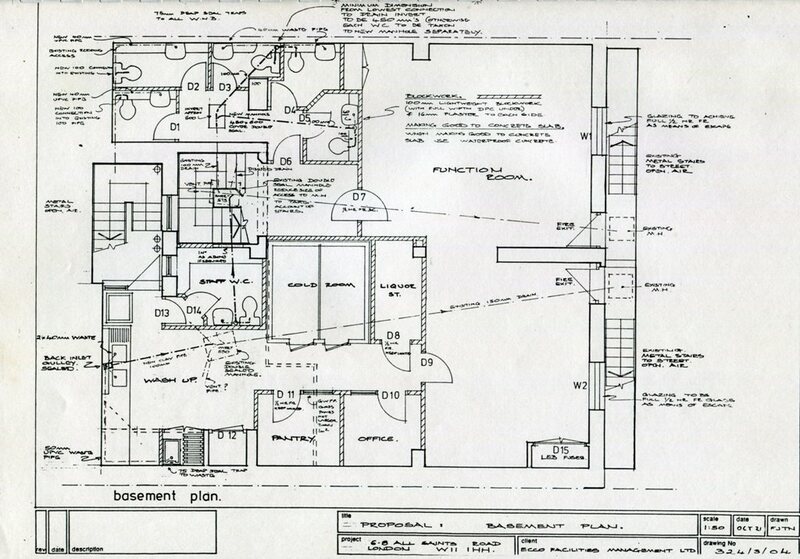 Drawings were then prepared including all relevant drainage details and other services. 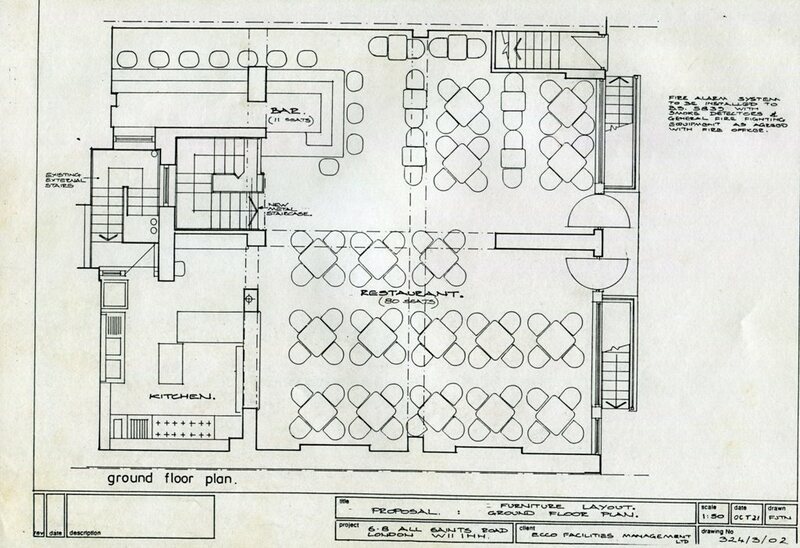 Further amendments were included, such as an improved layout for the WCs. 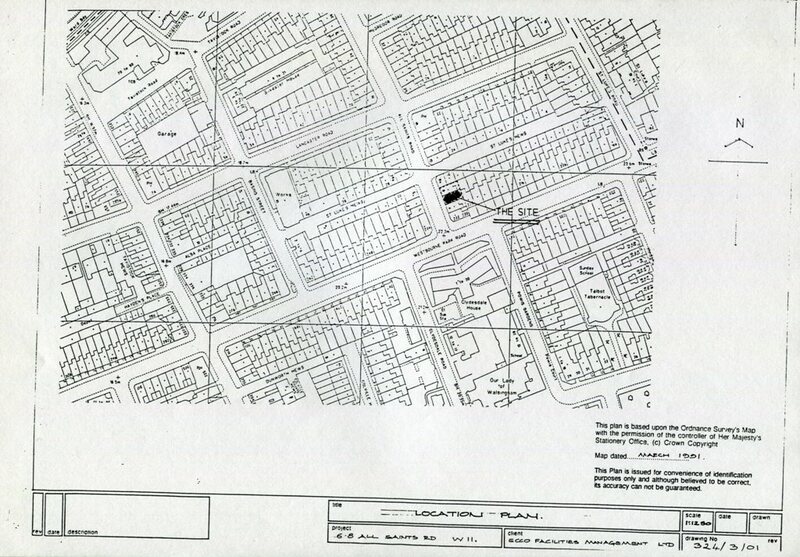 In the course of this work, survey errors were corrected, and notes for the contractors were applied to the drawings. 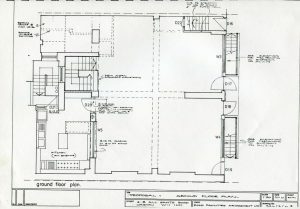 The client is acting as the main contractor for the works, so the tender drawings and specification were not required. Although finishes were discussed, the client was responsible for the final choice and the specifications of these were carried out as the job and works progressed. The client had, at this stage in the design process, developed a working relationship with another designer and maker of furniture. It became the interion for all interior feature works within the restaurant to be detailed, manufactured and installed be the designer maker. 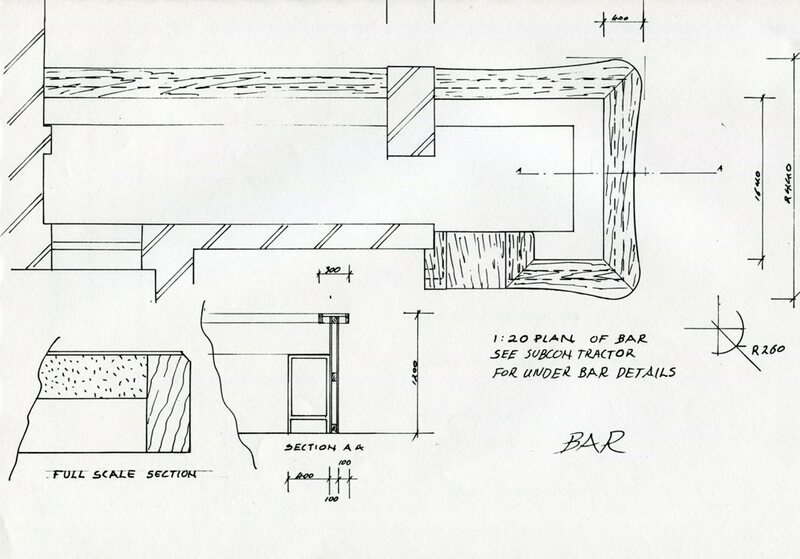 General arrangement drawings were submitted to clarify ideas of the bar and table design that were discussed. 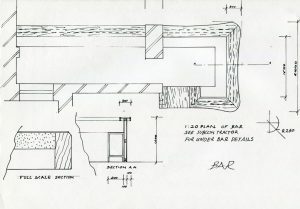 The under-bar facilities of speed bar refrigeration pumps etc., were determined be the client in association with the specialist bar contractor.